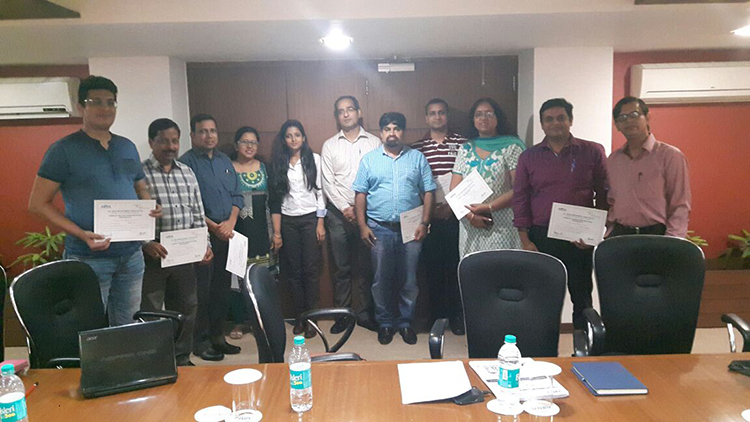 AIMA organised two day Workshop on Capability Building Workshop on ROI Methodology on 22-23 July, 2016 at New Delhi. The workshop was conducted in collaboration with Roots n Shoots Management Consulting Pvt. Ltd. It was a new initiative to provide a conceptual understanding on the ROI methodology developed by Dr. Jack Philip of ROI Institute, USA. The workshop focused upon the ROI Methodology, a credible and used system to evaluate the value of non-capital expenditures including L&D and HR till date. 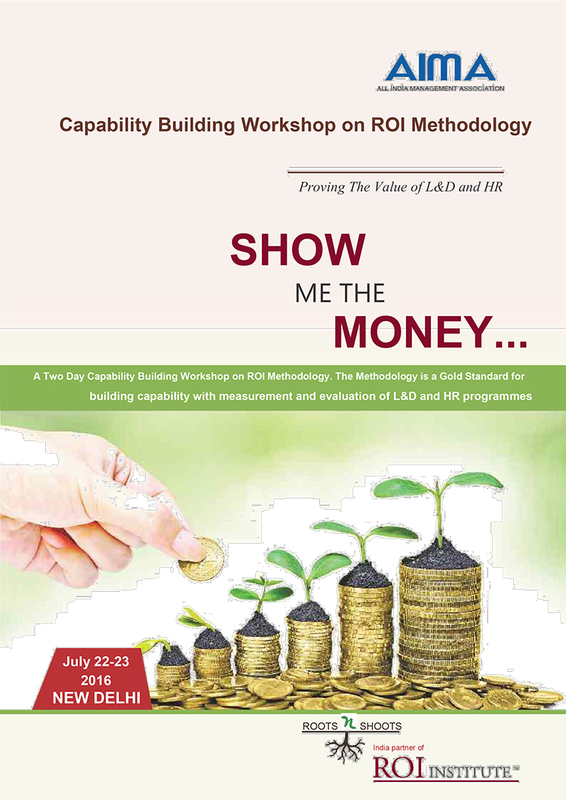 The two day capability building workshop was designed to provide skills, resources, and knowledge to measure the value of L&D and HR projects and programs – down to the financial return on investment (ROI). About 15 participants attended the workshop which was very well received.